I have absolutely no idea how I managed to fit this dress in over Christmas, but I did! It's New Look 6124, which was free with Sew Magazine a couple of months ago. This one was such hard work, it’s not even a difficult pattern. There’s nothing really complex about it. I picked some navy blue suiting fabric from Minerva for this one. It looked like such wonderful material to make a work dress out of. However, it liked to fray and it frayed so easily that I had to over lock the edges to keep it all together and that is where the fun started! how the fabric like to fray. 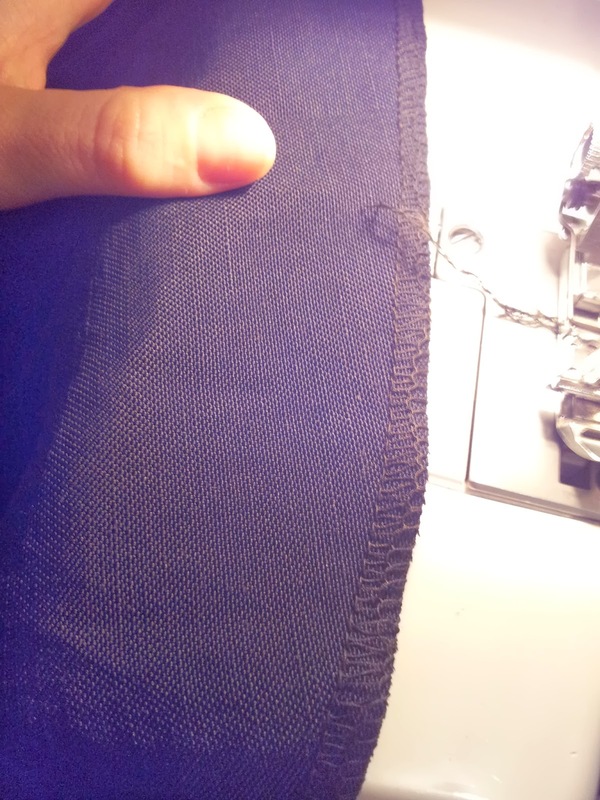 Is it just me or was the Overlocker made by the Devil himself?! I don’t fear it, in fact when it works I quite happily over lock to my heart’s content. But for some reason mine doesn't want to stitch very nicely at all any more. It’s a Necchi 150. I've read the manual and Googled it. I keep cleaning it out, I've even had the metal pate off and removed lint from every nook and cranny. I've tried adjusting the tensions and the width, all of which seems to make no difference. 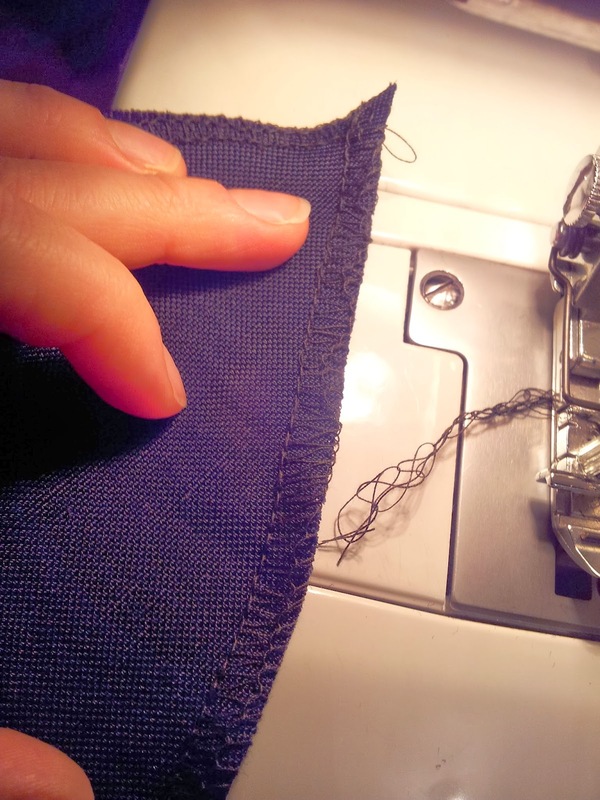 Then, on top of this, it sometimes skips stitches for no apparent reason or loses the threading from either the upper or lower looper, even though the thread is still present with the rest of the threads, so I end up spending more time re-threading the machine! I’m at a complete loss, it’s almost like there’s a naughty little ghost in the machine who’s up to mischief! If anyone has any ideas, I'm open to suggestions. With all the dresses that I have made, I've always has a little bit of an issue with gaping round the neck line. Some not so noticeable, some absolutely awfull. This time I decided that I would not have this problem! So after measuring my shoulders I decided to cut the size 8, I then graded up to a 12 at the bust and waist and then graded the hips down to a 10. Yep, I have a very square shaped body. I then made up a toile using lining, so that if everything went to plan, that would be the lining done! It fit just right, with enough ease for wearing. 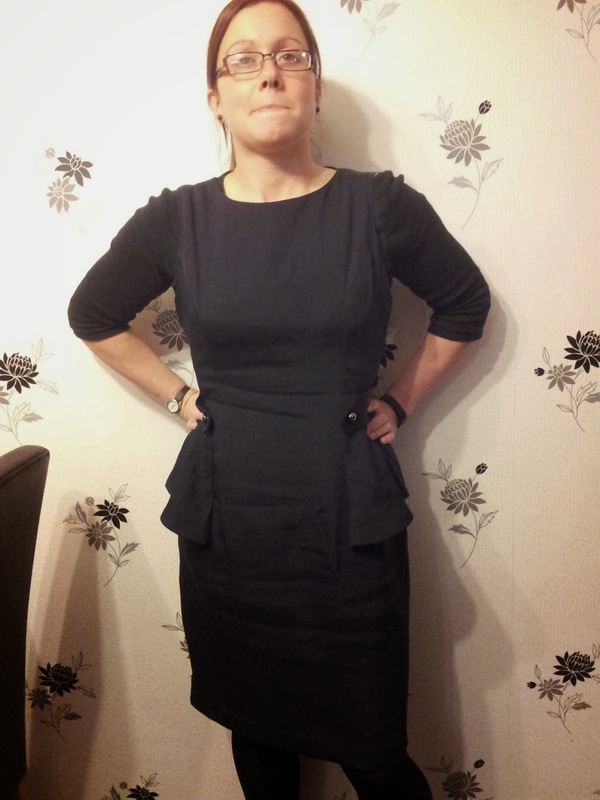 Once the lining was constructed I put a little bit of interfacing round the neckline and armholes just to strengthen. 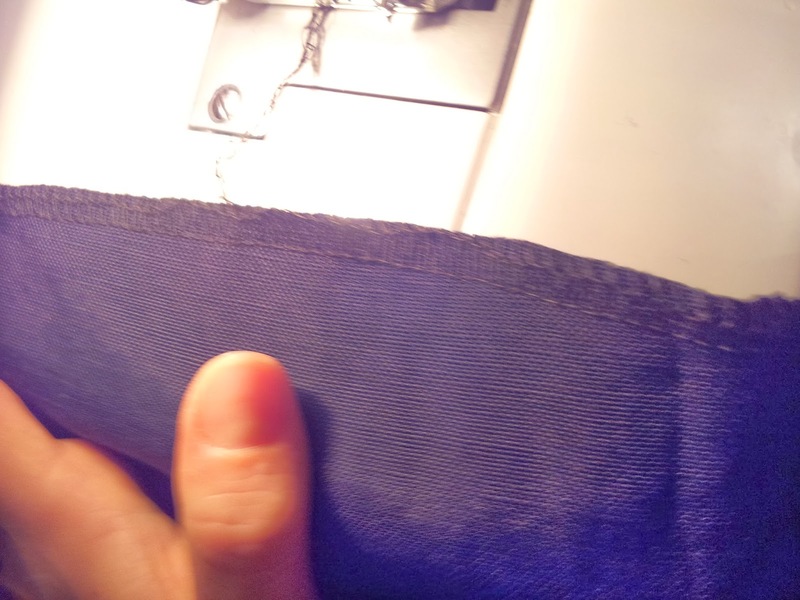 I tend to do this on the lining so that you can’t see it through the dress. 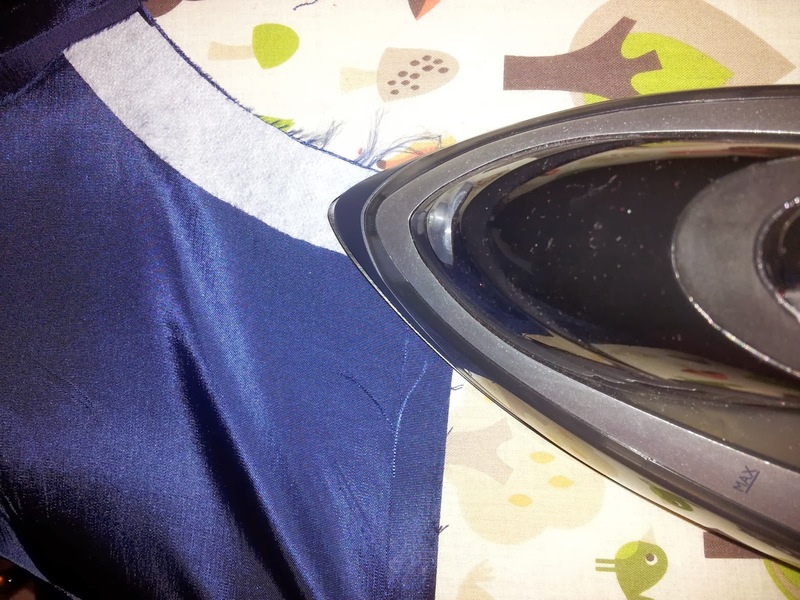 Of course, I always use iron-on interfacing! I tried sew in, well I say tried, I mean bought it by accident and it was not for me. I went for option D, the peplum sleeveless with the little side tabs. I previously had the idea that I would line the peplums with some pretty floral cotton, but after working with the material I realised that it was probably a little too thick and that the peplums might not sit as intended, so I didn't line them in the end. 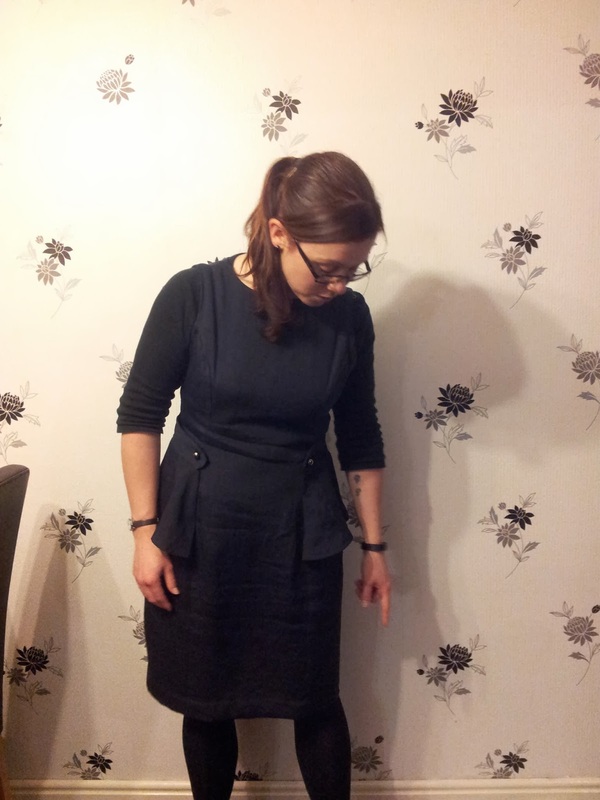 The dress performed wonderfully on Monday when I wore it to work, however it creases really easily. By the end of the day it almost looked like it had never been ironed. The next time I wear it I'm going to try a little spray starch as the peplums go out of shape when crumpled. 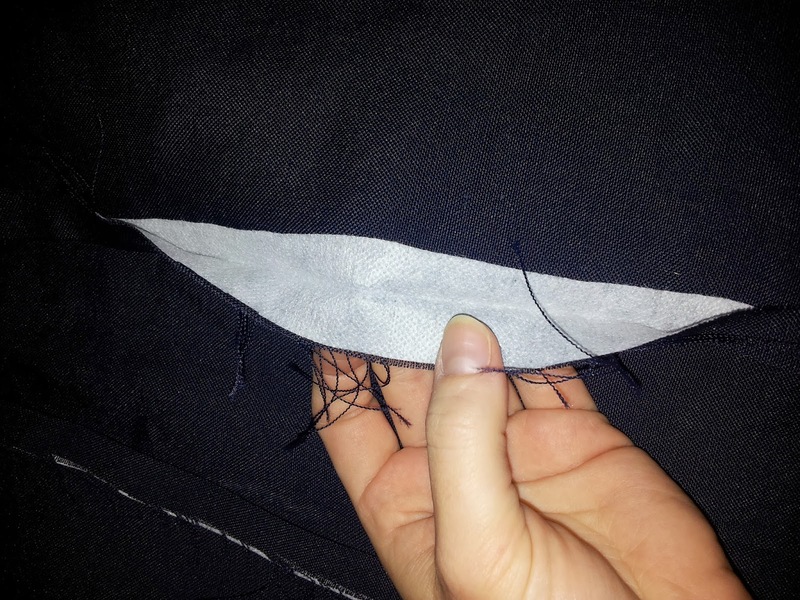 Failing that I might try so light interfacing on them, but I don't want them to lose their lovely shape! It's a bit cold for sleeveless right now, so I put I 3/4 sleeved T-shirt under. It's not for everyone, but I like it. I love how this dress gives me shape, peplum's are great for giving me fake hips. I'm certainly going to use this pattern again, but I will be a little more careful about the fabric that I choose. 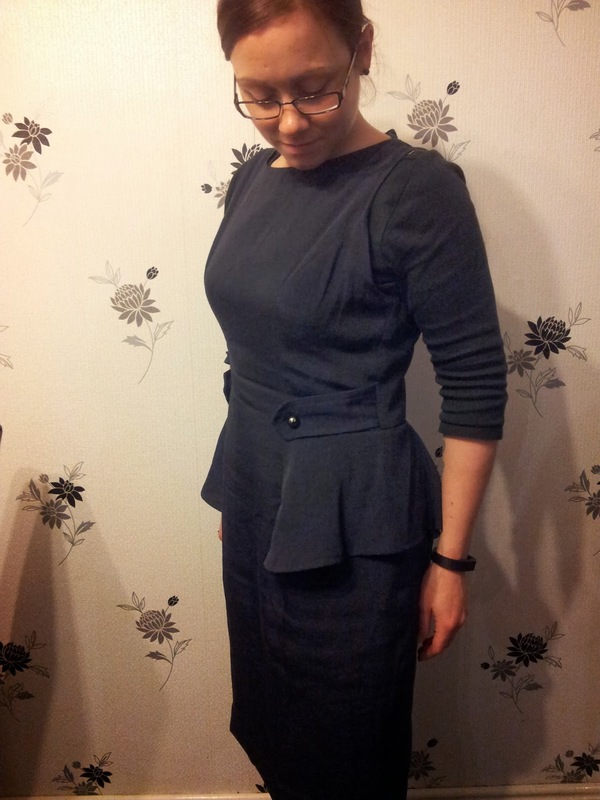 It will need to be something with a nice drape for the peplum, but also something that doesn't crease very easily.